After an earlier project showed that the thin-film-based measuring technology is effective, RobInPro will work towards: increasing the lifetime of the multilayer coating on the heat-seal jaw, potentially through the use of new material combinations; improving the detection sensitivity of the sensors; improving the non-stick characteristics of the tool surface; and readying the sensor system for industrial applications. 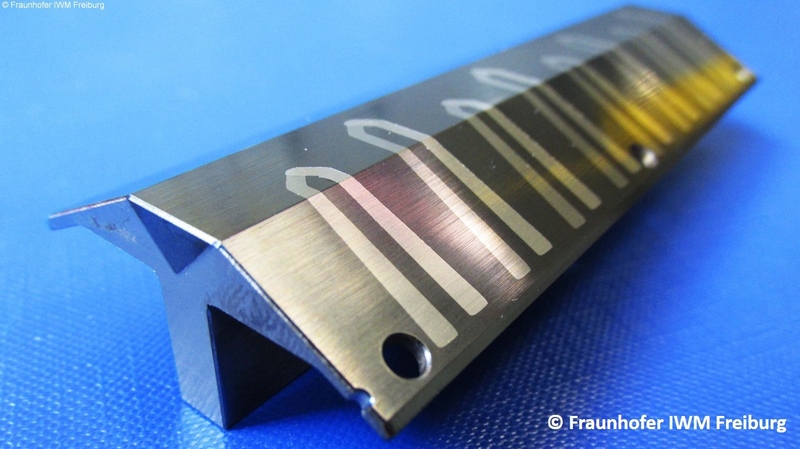 In the future, these integrated temperature sensors with short response times and high sensitivity could check the heat-sealing parameters, simultaneously at different points, for every seam, reliably reject seals which are out of specification and adjust process parameters, nearly in real-time. The project, which is financed by Germany’s BMWi (Federal Ministry for Economic Affairs and Energy), follows on from the HePhaiSt-Os project, which terminated in 2018. HePhaiSt-Os (‘New temperature sensors for heat-sealing’), which also ran under the auspices of the BMWi, culminated in the development and construction of a prototype heat-seal tool comprising two heating elements, each with eight measurement points, as well as the associated acquisition and evaluation hardware and software.